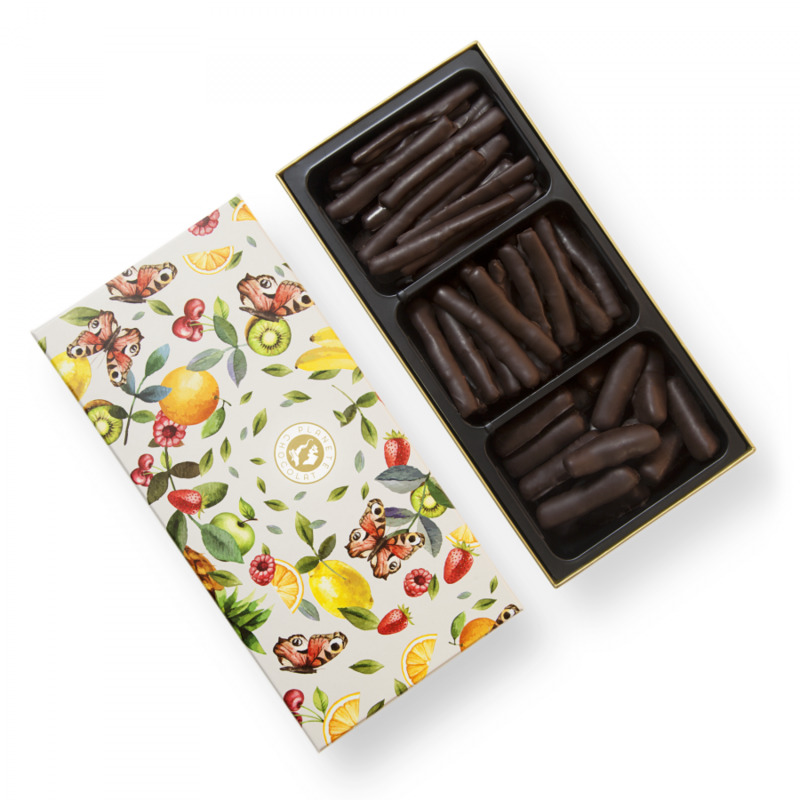 Discover the delights of our delicious fruity chocolate sticks. 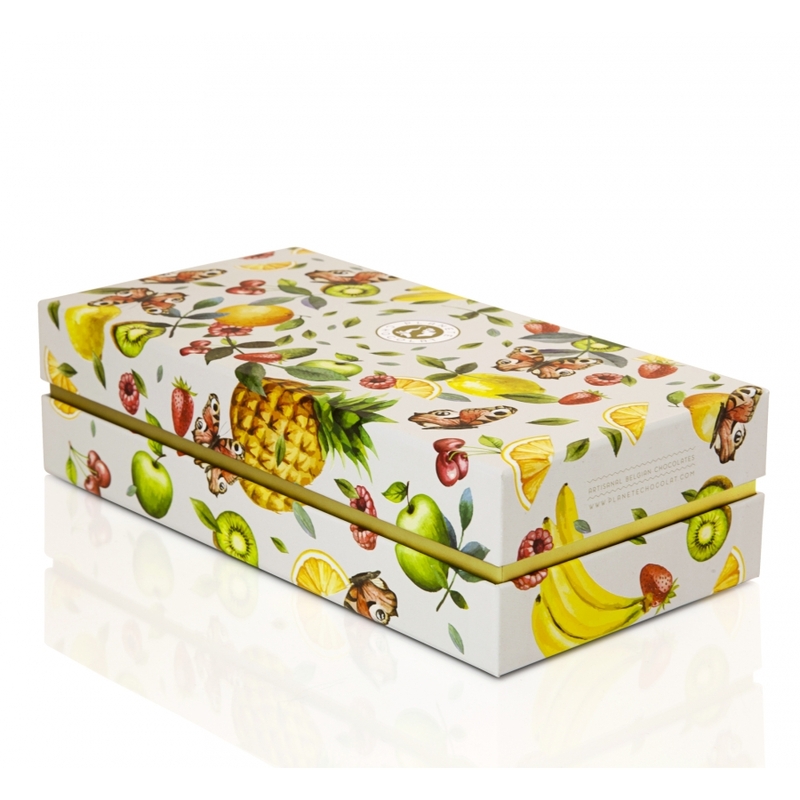 Planète Chocolat has united its gift boxes, combining candied oranges, ginger and lemons in a single wonderful and fruity box. 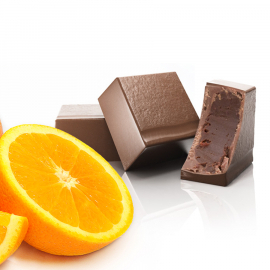 - Each sliver of candied orange is individually dipped into melted chocolate according to a confection process that is unique to the company. The slight bitterness of the orange is accentuated by melted chocolate. 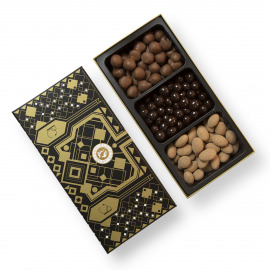 - The ginger comes in the form of thin slices of candied ginger coated in 60% melted chocolate. Originating from Asia, this plant is loved for its slightly lemony and pleasantly spicy taste. 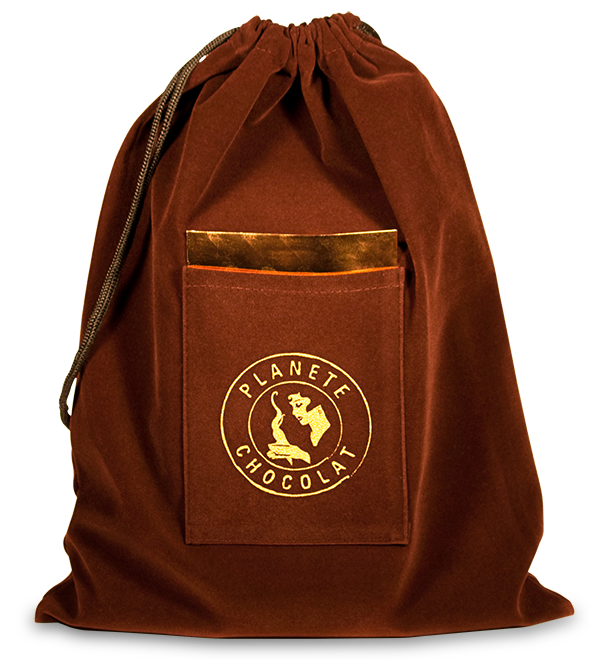 The subtle combination of dark chocolate and the freshness of the ginger flourish in an exquisite mixture. 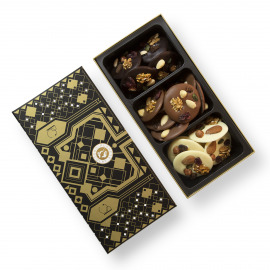 These delicious confections are known for their aphrodisiac properties, making them a perfect accompaniment to your romantic evenings. 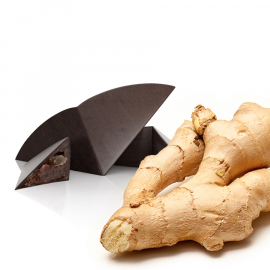 Ginger is also recommended as a natural stimulat, due to its energizing qualities. 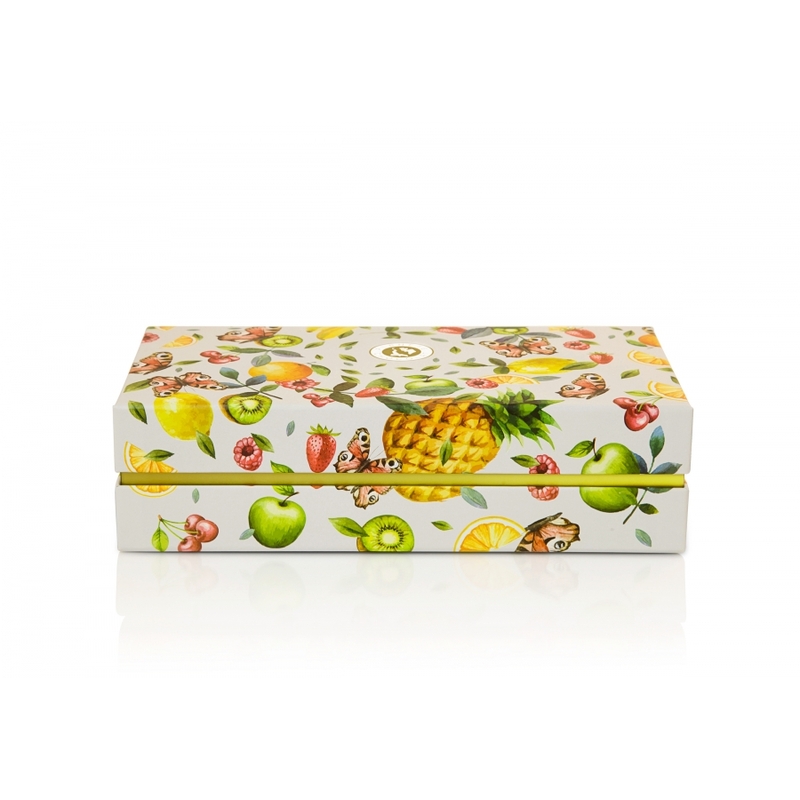 - The candied lemons perfectly complete this thematic gift box by providing an acidic touch that counterbalances the bitterness of the melted chocolate in which the candy has been dipped. 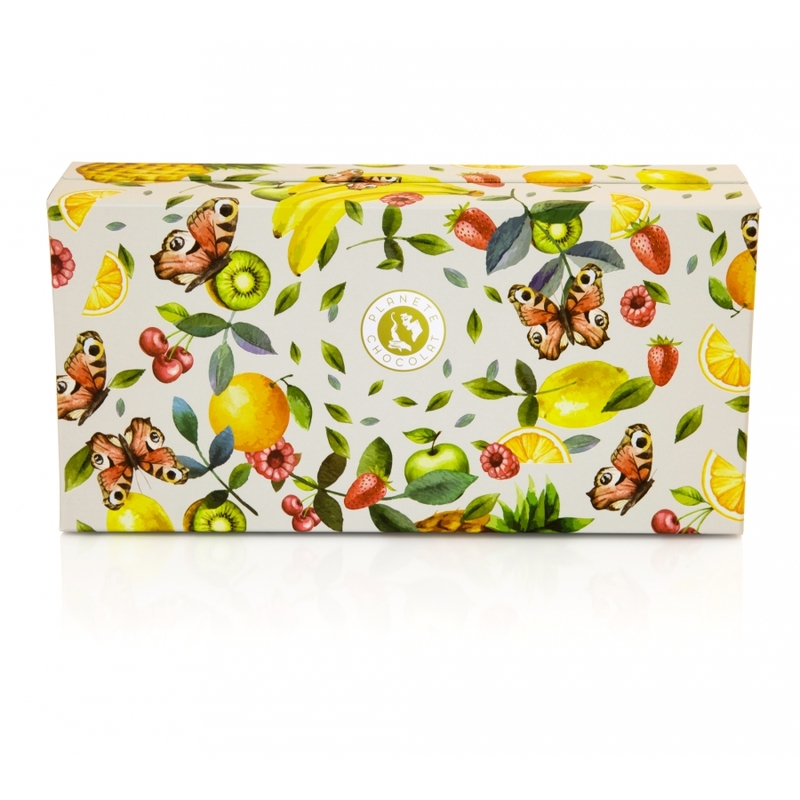 Each of the three flavors has its own tray in the luxurious box. 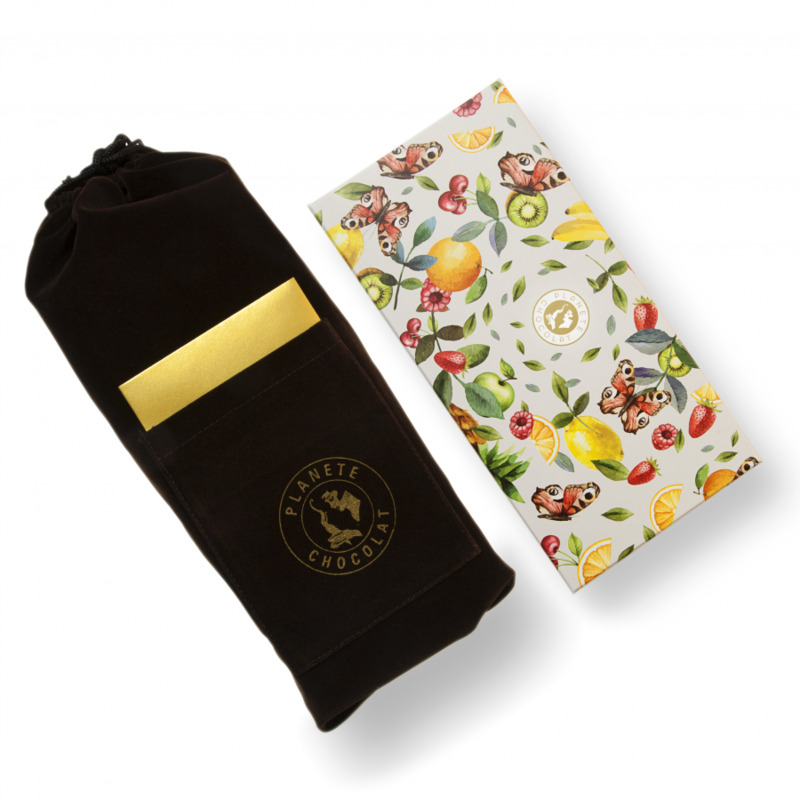 This is then covered by a soft and flexible chocolate colored bag, which closes with a simple ribbon.